On Saturday April 30th, 2016, new and old gamers alike will crowd tables worldwide for International Tabletop Day. Now in its fifth year, the day has been spreading with the hobby each year with day-long events packed with gaming, food, drinks, community and yes, even exclusive swag, prizes and discounts at some locations. Even Barnes & Noble is getting in on the event this year with hosted games starting around 4pm at many locations nationwide. I’ll be spending the day with my own group at Metropolitan Wargamers in Brooklyn, NY, as I do most weekends throughout the year. Those looking for their own place to play will find many spots throughout New York City. Below are my picks for the day, and I strongly urge you to check out each store’s website for full details. The Brooklyn Strategist has an enormous line-up of overlapping events all day from 11am to 11pm. Board game, miniature games and painting, and RPG games will run throughout the day in two large storefront rooms of tables plus the shop’s outdoor garden space (weather permitting). Many of the boardgames will be run by the designers themselves, and the miniatures gaming will range from sci-fi and fantasy to historical eras from ancients to World War II. Special discounts are also available for the day from the store’s big inventory of games, miniatures and supplies, and the usual selection of delicious snacks and drinks will be available at their in house cafe. This Queens gaming outpost will be open all day with a big slate of opportunities to take home gaming loot. Playing, hosting or winning games throughout the day earn participants points toward a ton of limited edition and promotional games. A raffle for the non-profit organization Kaboom! will also allow players to support children’s playgrounds while spending the day at the tabletop. Located in Greenwich Village just South of Washington Square Park, The Uncommons is the go-to board game cafe in Manhattan. 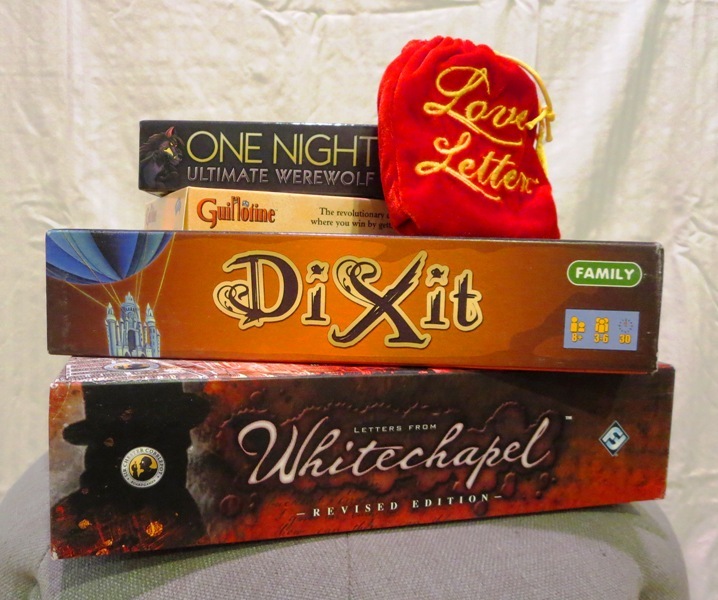 Tabletop Day events will run from 2pm til 11:30pm, and it’s the perfect casual gaming spot with a collection of hundreds of board and card games for play and sale. There’s also a super solid selection of coffee, craft beers and snacks to keep your gaming fueled all day long. Williamsburg’s premier gaming store will be running games from noon to 9pm with hourly raffles for give-aways. Every game will be game-mastered by experienced players, making the event perfect for new and veteran players. People should RSVP for the event to attend and get instantly signed up for the day’s drawings of exclusive stuff. The Brooklyn Strategist was opened several years ago by Dr. Jon Freeman, a clinical psychologist, neuroscience researcher and life-long game fan. Situated along the main drag of Court Street in Carroll Gardens, Brooklyn, has quickly grown to be a go-to gaming space for the Brownstone Brooklyn crowds of kids, families and adults. The original storefront space of hardwood floors and exposed-brick walls holds a number of tables (including a stunning Sultan custom table from Geek Chic), shelves of games and accessories for sale, and a small coffee and snacks bar. 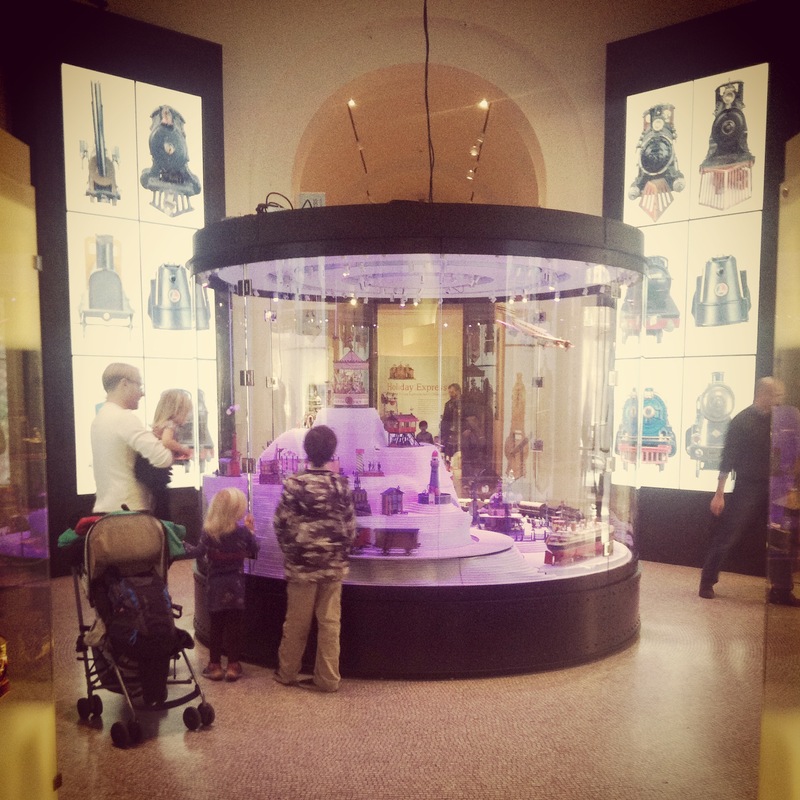 In the spring of 2015, the store doubled in size next door. The new space added about a dozen more tables to accommodate the expanding children and adult programs, tournament events and growing miniatures gaming community. The core of The Brooklyn Strategist is in its after school programming, and a packed regular schedule of events is also offered every day and night of the week. Magic: The Gathering card games are featured Mondays, Wednesdays and Fridays. Mondays also showcase ongoing Star Wars X-Wing play, and other X-Wing events are held periodically with hosting by the NYC X-Wing group. Scrabble and chess take over Tuesday nights, and opportunities abound for Dungeons & Dragons and other RPG games Wednesdays and Saturdays. Hundreds of games are on hand to pull off the shelf to play. Paying your way at The Brooklyn Strategist is a great deal with a $10 walk-in fee, individual memberships at $25 per month, couples at $45 per month and family packages at $60 per month. Each level of membership comes with a package of discounts and perks which encourages a solid community to fill the space all week long. This past weekend I had the opportunity to sit down with Colt Johnson who has worked hard for a year to expand the shop’s interest in miniatures gaming. Johnson said the miniatures scene is focusing right now on the “five food groups: Malifaux, Infinity, Warmachine, Games Workshop and Flames of War.” Over his time working at the store, the miniatures scene has grown from maybe a dozen players on a weekend afternoon to 40 to 50 packing the tables on a busy day. Organized miniatures tournaments, events and pick-up games rage on the tabletop battlefields, and players new to the hobby can drop in and whet their appetites using beautifully painted 28mm loaner models on hand in display cases throughout the store. A Warhammer 40K escalation league just kicked off with nearly 40 players signed up to play over the coming months. On the day I was there, 40K was very much in the air. A group of players from Staten Island were settling into their first games on some beautiful tables packed with terrain. One table over, a young girl who recently hosted a birthday party for 15 other girls at the store sat painting up her latest plastic goodies from Games Workshop. As the dice rolled, a phone call came in from someone who had just moved to the city and was looking to play some 40K. Sci-fi and fantasy miniatures gaming clearly has a big following at the The Brooklyn Strategist, but historical gaming is newly on the rise. The popular World War II 15mm game Flames of War is a recent addition to the store’s minis mix, and this past weekend also presented a demo game of the 15mm Cold War-themed Team Yankee. WWII at 28mm with Bolt Action and even some 18th-century Blackpowder gaming is also on the horizon. 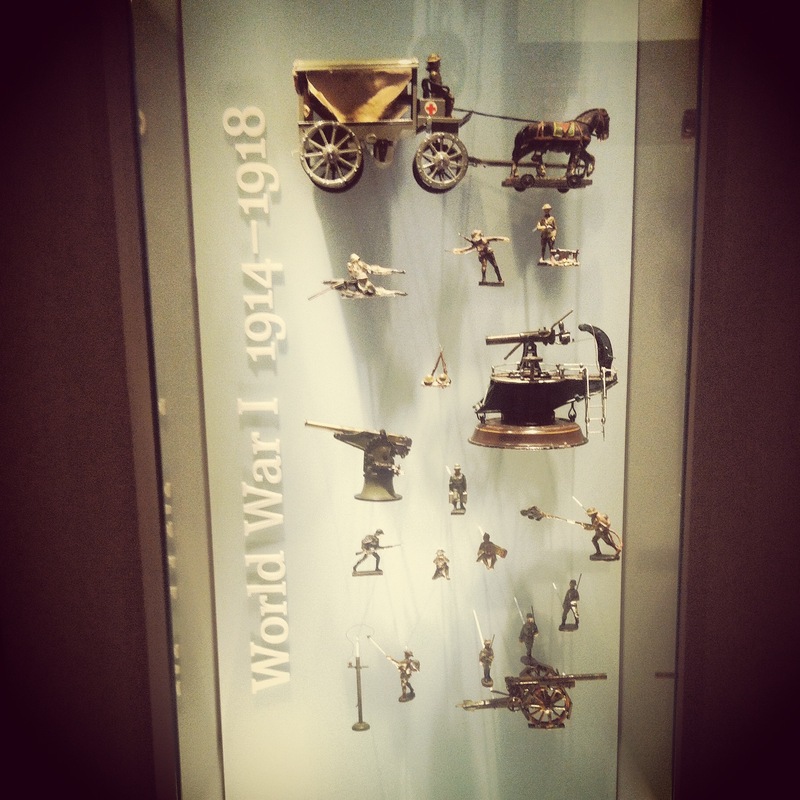 While growing every aspect of miniatures gaming, Johnson is hoping to push into even more historical gaming as both a hobby and way to create excitement for local kids and adults around learning about history through gaming and modelling. No matter the game, period, theme or level of experience, everyone who finds their way to the tables at The Brooklyn Strategist will find themselves in the right place. The Brooklyn Strategist is located at 333 Court Street in Brooklyn, NY 11231 (a short walk from the F/G train at Carroll Street). Contact them at 718-576-3035 or check them out on their website or Facebook page. 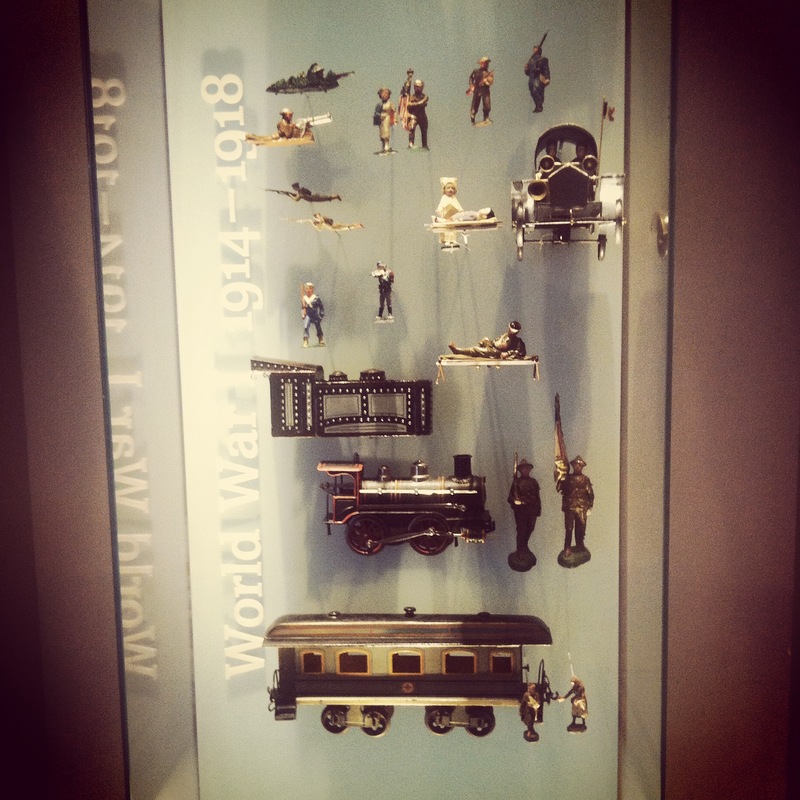 For news on the miniatures scene at the shop, check out their separate wargaming Facebook page. In June 1914, a member of a group of fringe Bosnian Serbs assassinated Archduke Franz Ferdinand of Austria in an effort to split some of Austria-Hungary’s territory into a freed Yugoslavia. Through a series of cascading and intertwined alliances, the act of terrorism begat World War I and led to the death of millions. Over a hundred years later in January 2015, two brothers self-identifying as Islamic terrorists associated with a Yemeni branch of Al-Qaeda forced their way into the Paris offices of the French satire newspaper Charlie Hebdo. The men shot more than 20 people, killing 11 and setting off a nationwide manhunt lasting for two days until the men were found and gunned down. 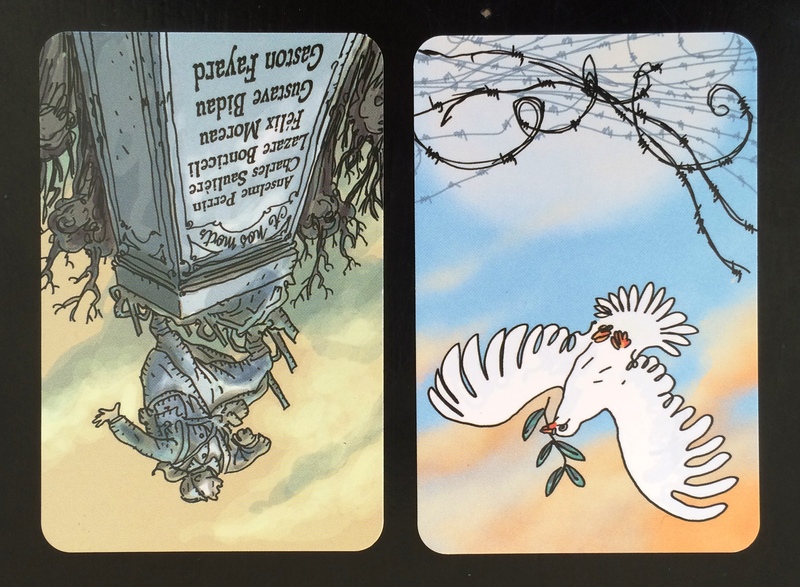 A month after the 2015 Paris shootings, a WWI-themed card game called Les Poulis was released by Sweet November, a French company which largely produces colorful games geared toward children. Carrying the line “L’amitié plus forte que la guerre?” or “Can friendship be stronger than war?,” the game prominently features the artwork of Bernard Verlhac who drew under the name Tignous and was one of those killed in the attack on Charlie Hebdo the month before. A century apart, the war which nearly destroyed early 20th-century Europe and the modern threat of international terrorism intersected in this curious little game. 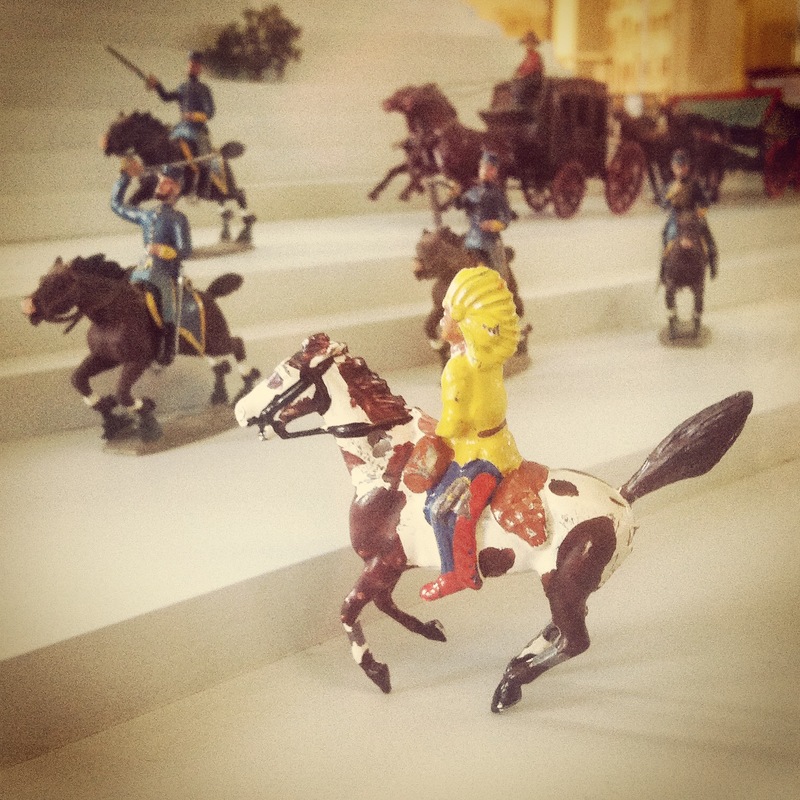 At the same level as literature and cinema, games are a cultural media which is undeniably participative. There are no subjects it can’t broach, though some are more delicate than others. That of the life of the Grizzled is one of those. Guided by the deepest respect that the suffering endured by these men has inspired in us, we’ve designed and tweaked this game with this constant concern. In this earnest endeavor we’ve chosen to focus on the individual, with his preoccupations and his daily fears. The only escape for the men we’ve portrayed is to use their solidarity, their brotherhood, and mutual assistance to save one another. Without ever touching on the warlike aspect, “The Grizzled” offers each player the chance to feel some of the difficulties suffered by the soldiers of the trenches. Thus the emotions around the table will often be intense. The path to victory may seem difficult, but don’t get discouraged – persist and survive the Great War! 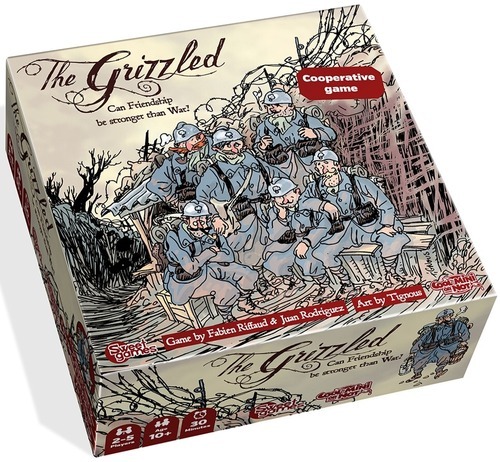 Rather than attempt a grand take on the war, The Grizzled brings the war down to the level of six French friends who mobilize to action in the early August 1914 days when the war still seemed something heroic and noble. The cooperative game presents the soldiers fulfilling a series of missions in an attempt to deplete all the Trial cards covering a winning Peace card before the Morale Reserve cards covering a losing Monument card are used up. In each round, the mission’s leader chooses to deal 1-3 Trial cards to each soldier. Trial cards feature Threats of six types — Shell, Night, Whistle, Rain, Mask and Snow — or Hard Knock cards featuring various negative battle effects. In turn, players have a choice of actions. 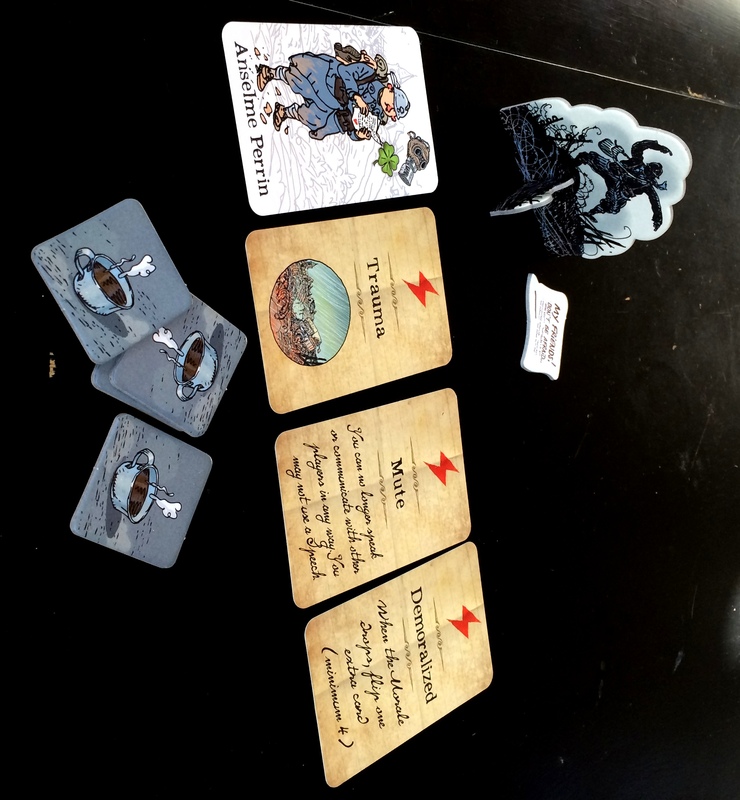 Threat cards may be played in the center of the table’s No Man’s land for the current mission, avoiding playing three of the same type and failing the mission. Hard Knock cards are assigned to the active player with immediate effect, and four Hard Knocks on the same player also causes a loss of the mission. Players can also choose to make a Speech, removing one type of Threat card from all player hands or use their Good Luck Charm to clear a card already played in the current mission. Finally, players may withdraw from the current mission and assign a Support tile to another player. Once all players have withdrawn from the mission, support tiles are passed to other players. Players with the majority of the support for that round may clear Hard Knock cards or refresh their Good Luck Charm. Cards are then moved from the Morale Reserve to the Trials pile according to the number of cards players still hold in their hands from the previous mission. With that the new mission leader deals cards and the next round begins. The Grizzled is a powerful game in a tiny package and one of the most challenging games I’ve played in some time. The collaborating players need to tightly manage their own hands and plays while keeping an eye on all other the other players. As Hard Knocks mount up, effects on one player wind up rippling through the entire group, hindering the collective effectiveness in missions. Clearing Hard Knocks with Support becomes key late in the game but getting Support to the players needing it most also becomes a challenge. Winning a game of The Grizzled feels like a real accomplishment. In the first week I had the game, I played about 15 games and my group of experienced gamers only won twice. Fortunately, a typical game runs about 30 minutes, so multiple games can be run in a sitting. It’s interesting the original French publisher states the game is for ages 10 and up while the American version from Cool Mini Or Not suggest ages 14 and up. The game’s play is intense but that’s the point, no matter the age of the group. We’re still in the midst of the centennial commemoration of World War I, an enormously complicated war still argued over to this day. While fully understanding the war’s big picture may be a nearly impossible exercise, getting a view from the trenches in The Grizzled shows how the trauma of violence on individuals or small groups of friends or colleagues is an unfortunate timeless human reality. A week from now, Americans will be sitting down at Thanksgiving and joining with friends and family around tables in shared gratitude. Actually, Thanksgiving put this way sounds like what I do every week with dice, cards and game pieces instead of turkey and side dishes. The time after Thanksgiving dinner was traditionally a time for games at my grandparents house when I was a kid. After the dishes were cleared, some of my uncles would sack out on the couch in front of a football game on TV but I always lingered at the table where the real games were happening. My grandmother, great aunts, aunts and mom would hold court at one end of the room-length table with a few rounds of Bridge and family gossip. At the far end, some other aunts and uncles hauled out a well worn Scrabble board and played a steady game of vocabulary one-upmanship. 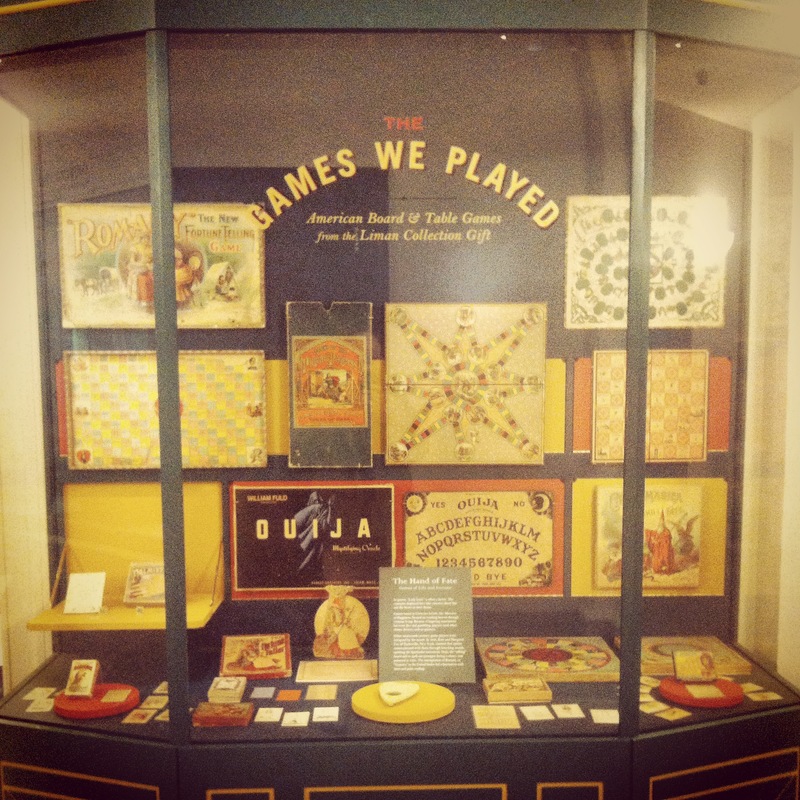 Some of my cousins would spread around on the hallway floor for games of War, Parcheesi and Hi Ho! Cherry-O. As the eldest of my many cousins, I always sat at the big table for dinner and there I mostly remained watching the adults play their games. This year I’m particularly grateful to be hosting my brother and his family for our holiday shared meal. My brother is my oldest gaming partner dating back to the 70s and 80s when we first discovered oddly-shaped dice and little metal miniatures to paint. We are both fortunate to have wonderfully understanding wives who who have partnered with us in raising a second generation of tabletop gamers, and all of us will be present in Brooklyn for Thanksgiving this year. Our tastes in games range wider than the traditional board and card games favored by the older generations in my family. Even so, getting four adults and five kids (boys and girls ranging in ages 10 to 16) all engaged in the same game today remains a challenge. Our interests and commitments vary, but here are few which have worked for our family’s diverse audience over holidays past. Dixit makes for a light but engaging game right after dinner with the various family members pairing off into story-telling and story-deciphering teams. This is a great multi-generational game to play since the kids can just as easily out-baffle the adults by using the key game component they always carry — their imaginations. Guillotine switches the tone and ratchets up the humor for the Francophiles and budding historians with a twisted sense of humor. Nothing says family time at our dinner table like the beheading of aristocratic one-percenters during the French Revolution, all played with goofy cards. It might be a bit too off-color for some families, but all our kids dig this one. For the classically-romantic, multiple hands of Love Letter makes for a royal crowd pleaser as cards are quickly played in a quest to win the heart of the fair princess. Lest that sound overly mushy, there’s a ton of game wrapped up in just a few cards which easily play anywhere. The Batman version will also make a first appearance this year, switching up courtiers with DC Comics heroes and super villains. One Night: Ultimate Werewolf seems to fit the natural progression from dinner into evening. My extended family can be a bit on the boisterous side, so squaring off as villagers versus a werewolf threat in tense 10-minute games. I’ve heard from a lot of people who love playing this one with family around the holidays, since it inevitably brings out the liars and agendas in the crowd. As the evening rolls on well past dessert, a couple pots of coffee and a few drinks, some of the kids and adults will inevitably drift away from the table. For those of us who remain, a rowdy round of our favorite Letters From Whitechapel makes for a grand late night hunt for Jack The Ripper. Set on the dark streets of Victorian London prowled by cops, prostitutes and a famed serial killer, a group of players team up to hunt for Jack as he secretly makes his way home. If the theme doesn’t seem to fit the holiday spirit for you, think of it as a way for you and your family and friends to work together in one of the better cat-and-mouse games I’ve ever played. The Friday after Thanksgiving is a day off for many, and hoards of Americans are up early, out the door and racking-up credit card debt with overly-publicized Black Friday shopping. Since I do everything I can to avoid the masses over the holiday weekend, the Friday after our family feast presents a rare full day to be filled with gaming. This year it’s also my visiting brother’s birthday, and celebrating the day is a great opportunity to pull a few a few of the larger board games off my shelf. I usually max out at about 2-3 players in these games, so having up to five players around the table will be a treat. Civilization: The Boardgame is one of the granddaddys of civilization-building games. The game built on the innovations of the original Civilization games with a progressive “tech-tree” mechanic where technologies build within a historical timeline over thousands of years. Players march toward victory through different paths of warfare, culture and technology, allowing each player to work to their strengths and interact with human history along the way. With the Fame and Fortune and Wisdom and Warfare expansions, more possibilities and a fifth player are added into a game which stretches across the eons and a few hours of play. Slaughtering the undead through an apocalyptic wasteland again doesn’t sound very holiday-like, Zombicide is a great collaborative game of survivors versus mobs of zombies. Like my formative dungeon-crawling adventures with Dungeons & Dragons in the 1970s, Zombicide follows a party as they collect weapons and other survival items, level up in ability and accomplish missions. The game quickly goes from bad to worse over a couple hours, and working together as a group is the only way of surviving. One of my favorite multi-hour games is Arkham Horror, based on the Cthulhu Mythos of H.P. Lovecraft. This is a big, beautiful game set in a sleepy New England Town inexplicably invaded by netherworld beasts. Adventurers team up, acquire weapons and magical items and seek to destroy the beasts who threaten the world with dominating insanity and destruction. Events, monsters and player characters all come with a deep narrative that unfolds throughout the game, taking this game off the board into a terrifically eerie role-playing experience. While not a long time commitment, the card-driven Marvel Superheroes Legendary is best played in a big group of superhero players teaming up to foil the evil plans of an arch nemesis. Another collaborative game, Legendary really “feels” like a comic book to me with various hero characters growing in power and skills which play off the other characters on their team, whether it be the X-Men, Avengers or Fantastic Four. My brother and I have been huge Marvel Comics fans for decades, so getting into a game which has characters leaping from the page to the table is still as much of a thrill for us in our late 40s as it is for our kids. Every family has their holiday traditions, and each generation builds on these and creates their own new traditions. Games remain a constant thread for my extended family through the holiday run from Thanksgiving through Christmas. The themes, mechanics and mechanics may have changed over the years, but at the root of our gaming is the chance to spend a few hours playing with those closest to us. This Thanksgiving, step away from the screens, clear the table and find your own gaming tradition with your family and friends. Photography has been a personal and professional interest of mine for more than twenty years. One particular area of photography that has long fascinated me is frontier photography of the United States. I was turned on to the period in the 1973 classic Wisconsin Death Trip by Michael Lesy which frames a late 19th-century town’s life in photos ranging from the deeply personal to the macabre. Given the complexity and expense of early photography, I’ve always thought of the personal, logistical and financial choices made in people capturing images in the late 19th through early 20th century. Photographs of American frontier people and their possessions have always held a big pull for me. 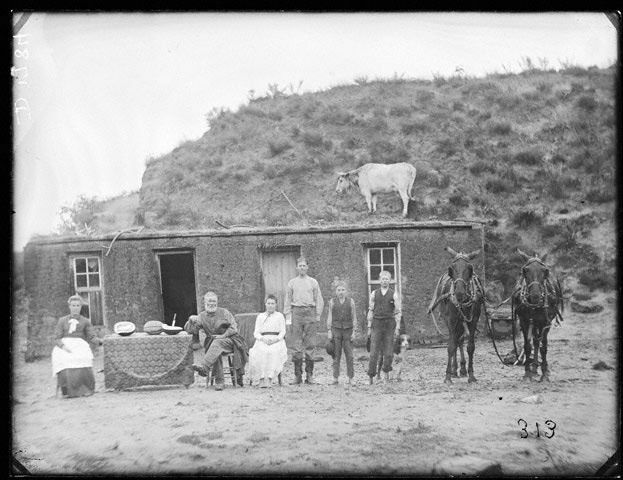 In the photo at top (from the Nebraska State Historical Society’s Prairie Settlement collection) a family has chosen to hire a photographer to document them on the new frontier. Aside from the family in the foreground, the photo is filled with possessions. 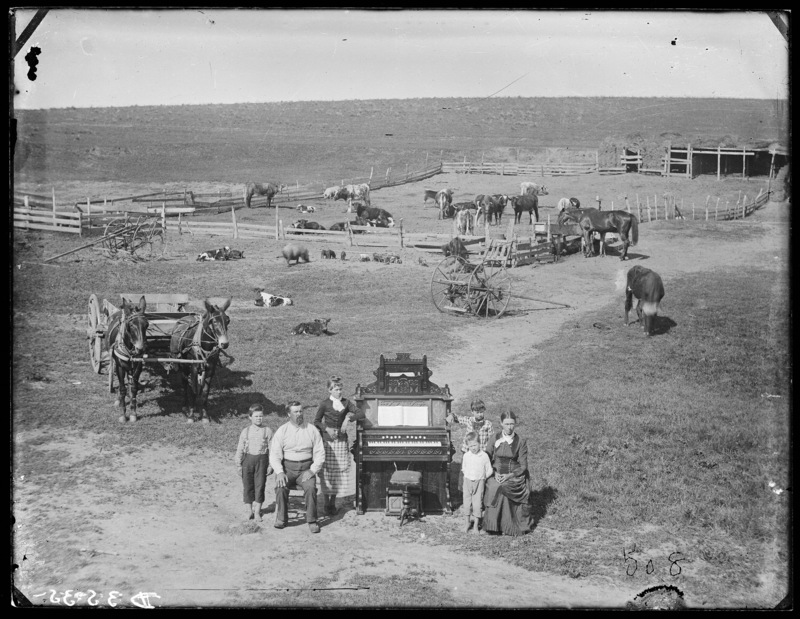 What the family owns occupies more than three-quarters of the photo — land, cattle, horses, mules, hogs, wagons and a prominently placed piano right in the middle of the family. So large are the family’s holdings the photographer has needed to climb to the top of a hill or perch on a ladder to take it all in with a shot taken from a godlike point of view from above. The photo conveys much including survival and success not only with the portrait of the family itself but in the wider portrait defining the family by what they own. 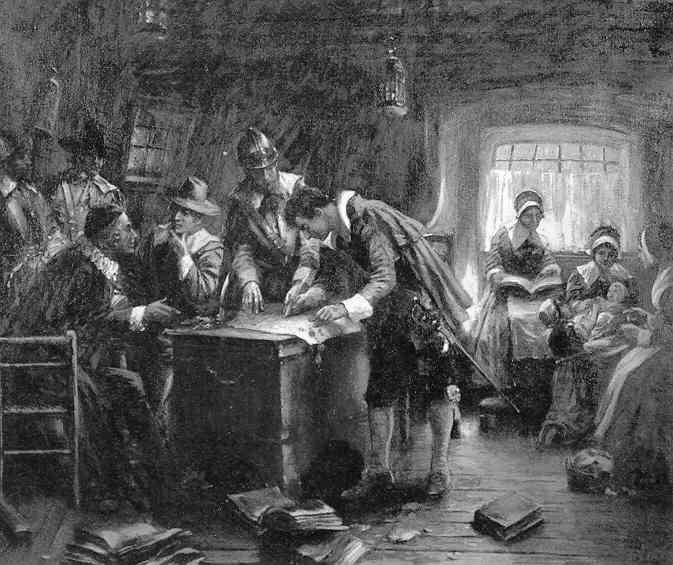 People, and seemingly Americans in particular, have a long tradition of defining themselves by what they own. From the 19th-century frontier until relatively recently, photos of what we own have largely been for the benefit of ourselves and perhaps the closest of family and friends. In the era of mass self-documentation of even the most mundane activities, meals, possessions and “selfies” distributed through Facebook, Twitter, Tumblr, Instagram, Reddit and other social media platforms, what people own is now widely available for all to visually consume. Some sites critical of the trend, such as Rich Kids of Instagram, point out the more absurd edges of what we’ve all come to accept as just another part of our digital day-to-day. 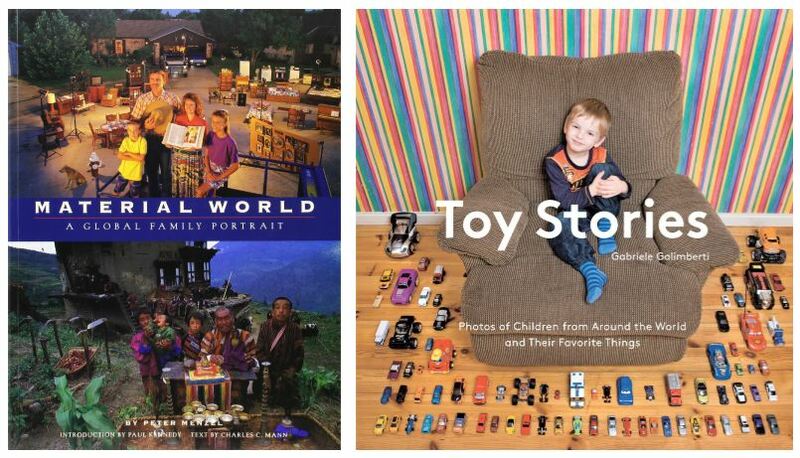 Photojournalists have taken a more documentary approach in such series as Material World: A Global Family Portrait, Toy Stories: Photos of Children From Around the World and Their Favorite Things and Personified: A Photo Series on People and Possessions. It’s clear for many of us, we are what we own. Last year I became highly aware of the trend among my own gaming subculture. 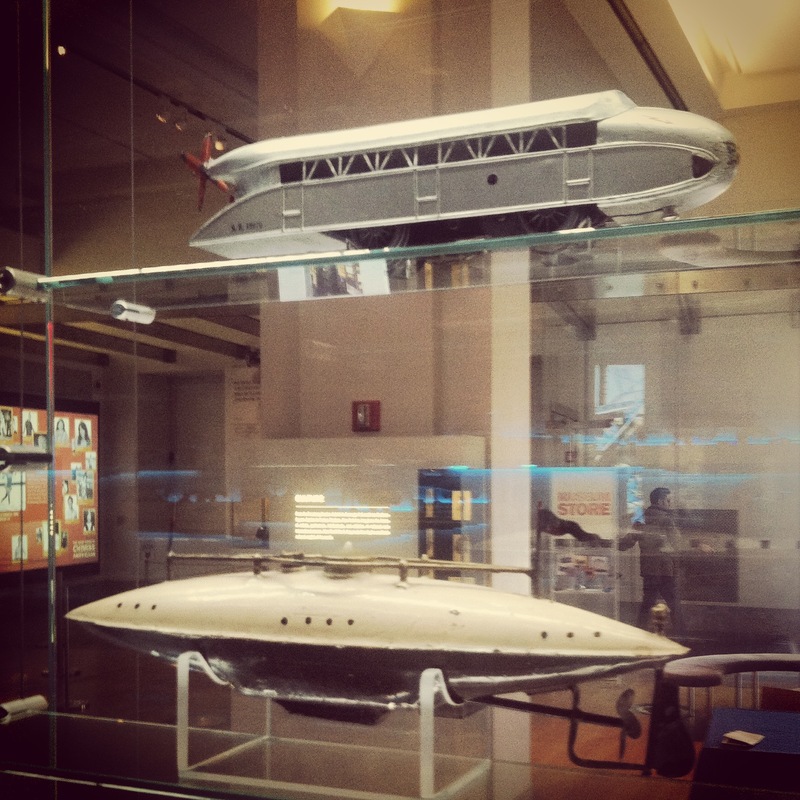 Many of the online groups I had joined to share historic knowledge, miniature modelling techniques, learn about game industry news or discuss rules were quickly filling up with a photos of people’s stuff. As a subset of the “selfie,” the “shelfie” is popular among gamers as a way of showing just how committed they are to the hobby the the sheer size of their collections. Some of the photographed collections border on historical archives of out-of-print games collected over decades in the hobby. More often than not though, many of the photos appear to be presented with a flair of a “top this” subtext or alternately a “this is all I have” apology to the virtual crowd. Things amped up during the past winter holiday season with a torrent of online photographs posted to gaming sites I frequent depicting a virtual arms race of heaps of games received as gifts or bought for themselves. This spring the US-based bookseller Barnes & Noble is running what I quickly came to learn was an annual 50%-off game clearance sale, and there was enormous online gamer excitement and chatter in the weeks leading up to the event. Gamers plotted elaborate routes to multiple locations, connected with employees for inside connections, shared inventory reconnaissance (or lack thereof) and even concocted complex plans of buying from one store and returning at another store for a higher value of store credit (an idea not supported by many online). Others, living far away from a B&N store, lamented jealously they were being left out of the sales rush. As the sale period progressed, complaints also arose in a mix of comments on poor local selections or having to settle on buying something the person didn’t really want. Buying something — anything — was critical to many, lest a gamer somewhere feel left out during the sale. 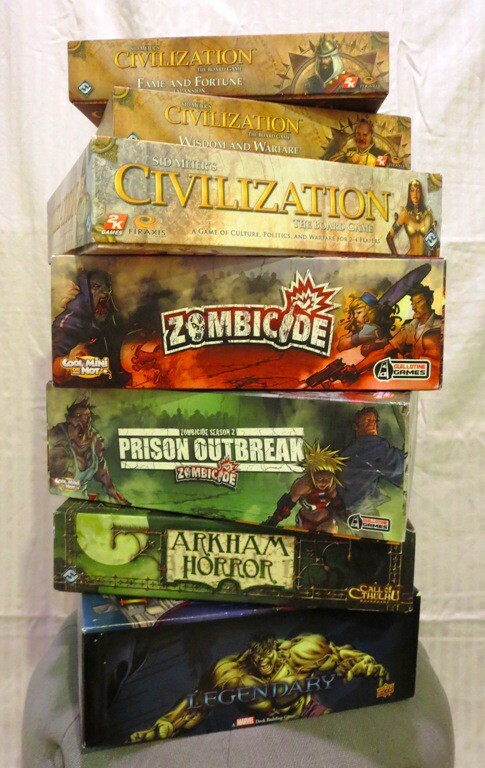 In the weeks following, photos of “the haul” have appeared in social media displaying stacks of games purchased (often in multiple copies for gifts or re-sale). Again, photos and shopping stories were met with comments ranging from congratulatory to jealousy to the feelings that this was simply another example of how life isn’t fair. The emotions wrapped around photographic documentation of the acquisition of games are not limited to the holidays or special sales by corporate retailers. People who post pictures and tales of finding bargain second-hand games in local thrift stores are likewise met with digital slaps on the back or lamentations that some people’s thrift stores are unjustly better than others. Reviews of gaming conventions are increasingly dedicated to celebration or criticism of purchasing opportunities, and in the past year I’ve seen an increasing number of photos showing not only the fabulous games played at a convention but also of all the stuff a person managed to buy while there. I’m a lifelong collector of many things, including comics, books, model trains, music, toys and, yes, games. My comic book collection paid for a lot of my college education. My parents are collectors, too. So was my grandmother. I have great memories and stories about an insane find at a flea market, working for years to track down a long-sought item or hours of relaxed browsing through dust boxes at a yard sale. 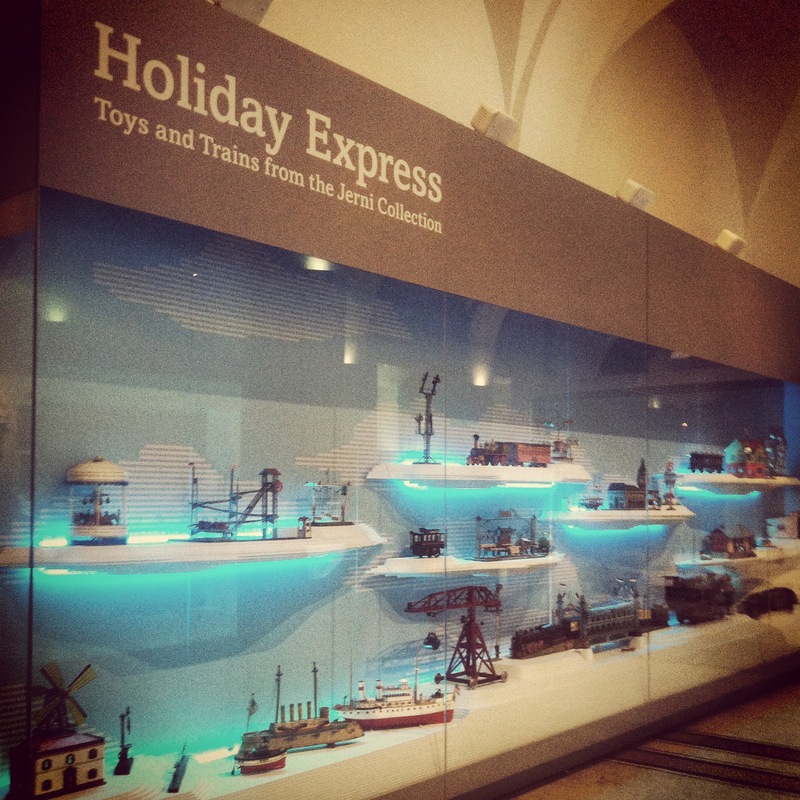 It’s in my blood — I love collecting. Gamers I’ve known for decades are also more often than not cut from similar collector cloth. There’s always something new to buy – a board game expansion, a new army to paint, a campaign module, a new edition of rules or the latest hot release. The hobby naturally attracts collectors. I know people with more games than they will ever play or even open for that matter. I also know people who are no less passionate as gamers with small collections of games. Within the endless stream of online photographs and stories of consumer victory and defeat in the gamer community, there’s a lot of personal information that rises to the surface from comments. Couples have babies or get divorced. Jobs are lost and others find new careers with richer paychecks. 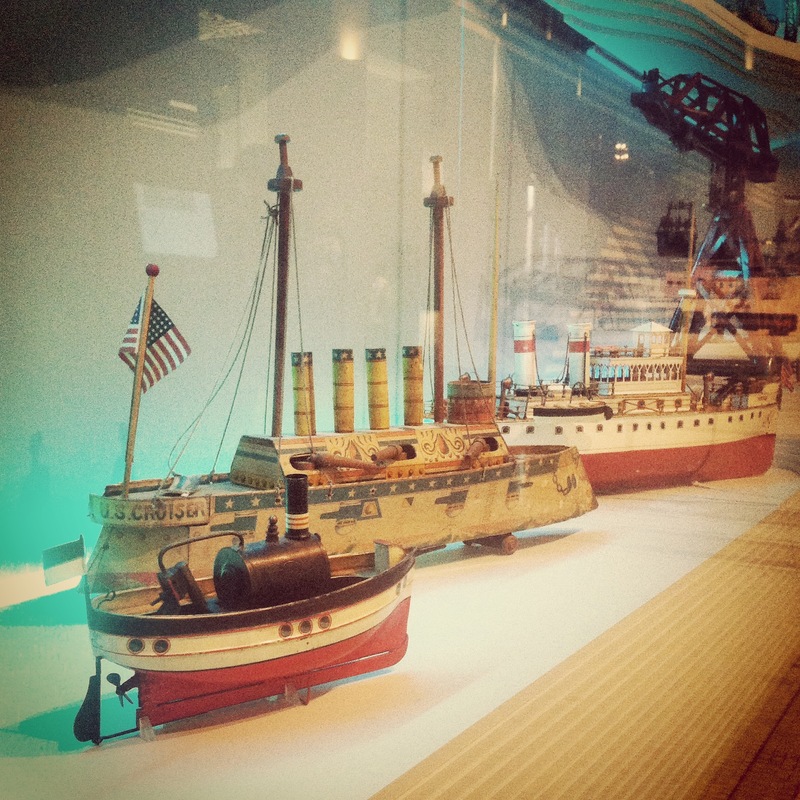 People relocate for a variety of reasons, sometimes willingly and sometimes not. Some owe taxes or are buried in household bills while others spend their hefty refunds or max out credit cards. 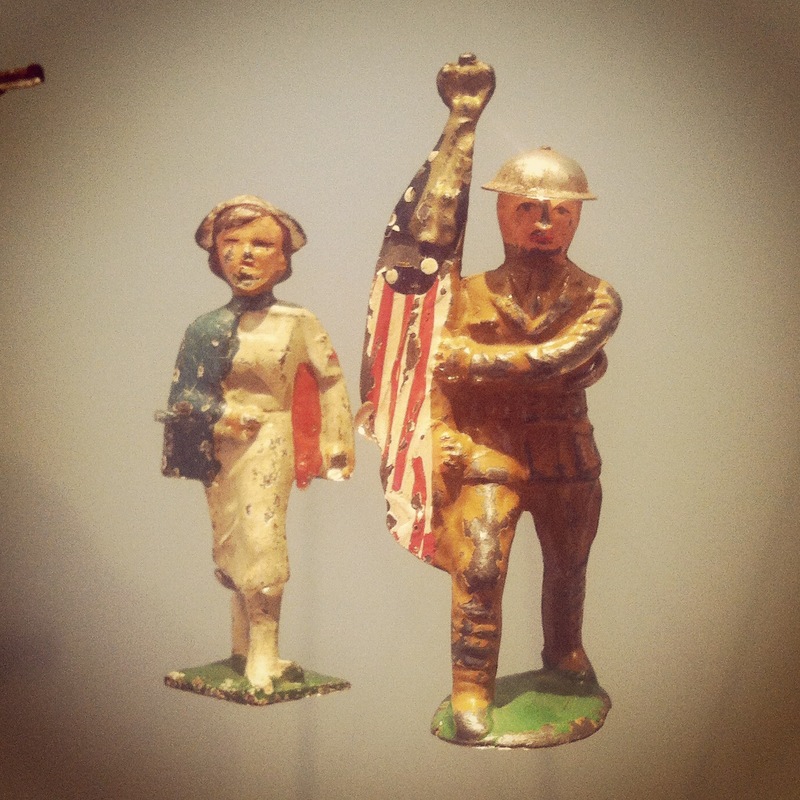 Narratives vary, priorities shift, lives are lived and another game is purchased. I’ve been a Marvel Comics collector and fan since the 1970s, but my gaming experience with my favorite super heroes has always been a less than satisfying experience. TSR’s Marvel Super Heroes Role-Playing Game never really played like the feel of a comic book back in the 1980s, and my brief experience with the Heroclix system in the past few years has also left me flat even with some great looking toys. And so, I was thrilled when I recently got into Legendary, a game that finally placed me directly in the midst of the wide Marvel Universe of heroes and villains. 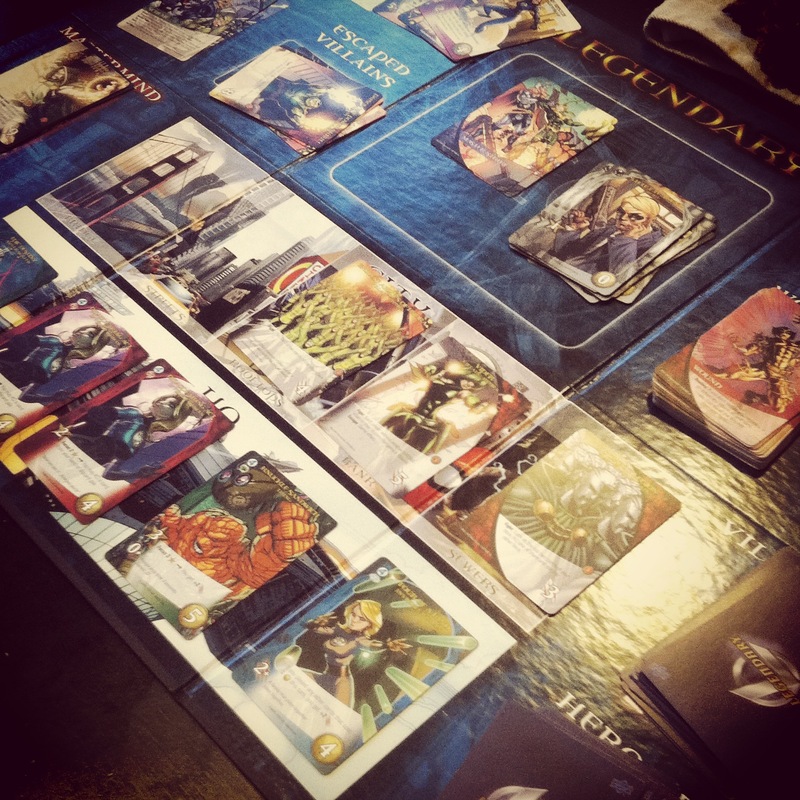 Released by collectibles giant Upper Deck in 2012, Legendary is a deck-building card game in which players take on the roles of super heroes doing battle with super villains in a near endless combination of scenarios and team-ups. 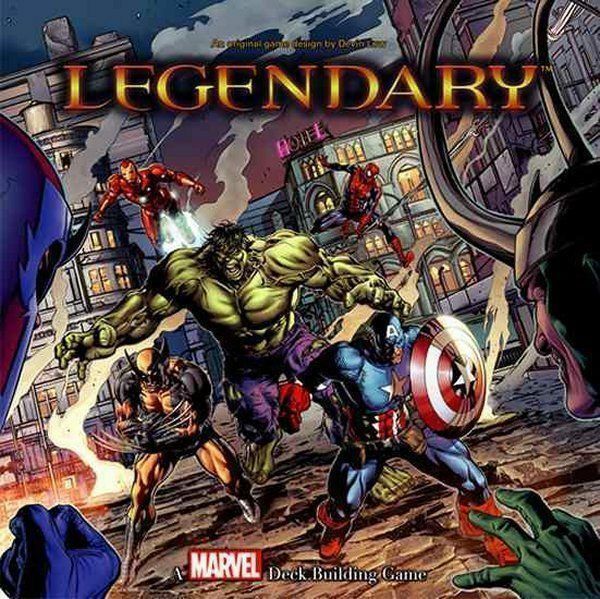 Legendary is gloriously illustrated with all-original artwork with a hefty base game box containing heroes and foes primarily drawn from the Avengers, X-Men and Spider Man storylines. Additional expansion sets pull players into the cosmic worlds of the Fantastic Four and Guardians of the Galaxy, as well as the streets of New York populated by Daredevil, Elektra, Black Cat and Spider Woman. Each hero is presented in a series of 14 cards of progressively higher value and ability. Team affiliations are depicted with small icons and values for recruiting other heroes and attacks are found at the bottom of the card. Special abilities and bonuses through interaction with other cards are listed along with colorful flavor text under the hero’s illustration. And so, each hero’s range of abilities is represented over the set of cards, allowing each character to grow in strength and use different powers or abilities throughout the game. A game of Legendary is played on two levels. The players work collaboratively as a group of heroes to beat the game itself represented by the villains. If the players collectively win the game, points are tallied with each player based on the number of villains each player has defeated. The player with the most points wins. The mix of individual competition and teamwork is just one of the ways Legendary really feels like a comic book story as super heroes team up to achieve a unified goal while also performing heroic feats as individuals. Each player is given a starter deck of identical twelve S.H.I.E.L.D. Hero cards and all other decks are placed on the Legendary game board. Six cards are drawn by each player from their shuffled starter decks. Five Hero cards are drawn from the top and laid out face up in the S.H.I.E.L.D “HQ” area and made available in turn to each player to “recruit” into their deck each turn based on recruitment points on their six cards in hand. Players may also play cards from their hand to fight Villains drawn each turn from the Villain deck and placed face up in the “City” area on the board. As each new Villain is turned up, other Villains shift down the City row and may be fought be players playing attack points on their available hand of cards. Played Hero cards also contain a variety of abilities, often used in combination with other cards to greater effect. Hero abilities can allow for extra cards to be drawn or discarded, stronger attacks, automatic defeat of Villains, extra recruitment value and numerous other special effects. Defeated Villains provide positive and negative effects on players and are then scored in a victory point pile for each player. Villains who move down the City track escape, causing negative impacts to the players. Scheme cards drawn from the Villain deck likewise cause bad things to happen. At the end of a player’s turn, a new hand is drawn back to six cards and play passes to the next player. 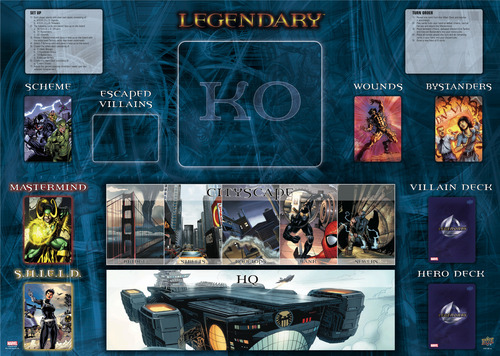 Legendary thus plays over a variety of turns as more Heroes are recruited into a player’s available deck, Masterminds and Villains are defeated, Bystanders are rescued and progress is made in defeating the Scheme before the bad guys win. Hero cards from the same or aligned teams combine to powerful effect, and certain Villain and Hero cards also interact in different ways. Getting the right number and combination of hero cards moving through a deck is key as the game progresses. There are so many things I love about Legendary. Primarily, the game just “feels” like a comic book. Teams, like the Fantastic Four, X-Men or Avengers, work best together, combining skills and abilities to powerful effect against Villains. Individual Hero abilities each play with the superpowers known from the comic book canon. For example, Rogue from the X-Men is able to siphon abilities off other Heroes and Hulk rages and sometimes causes damage to Villains and Heroes alike. 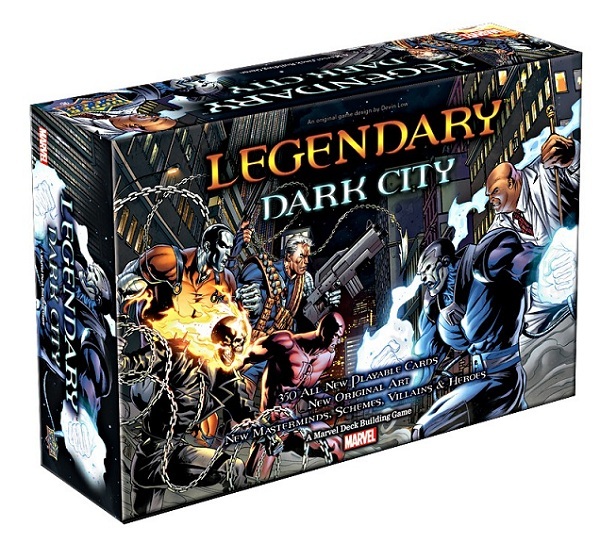 I got into Legendary in a big way over the 2014 holiday season with the base game and Fantastic Four, Paint The Town Red, Guardians of The Galaxy and Dark City expansions. With hundreds of Mastermind, Villain, Henchmen, Hero and Scheme cards available, each game plays in a nearly endless variety. With the modern Marvel Universe dating back to 1961 and re-invigorated with a constant flow of hit blockbuster movies since 2000, Legendary draws richly on the complex intersecting storylines from a half century of comic book popular culture. Legendary has started me off in 2015 with a new game favorite and one my entire family has enjoyed playing together. As a lifelong fan and gamer, Legendary has finally given me the chance to team up with my favorite heroes from the Marvel Universe.